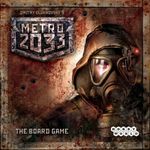 The game is based on the novel Metro 2033 by Russian author Dmitry Glukhovsky.It is dedicated to the survival in the dungeons of the Moscow metro in a post-apocalyptic world. The players in the game act as gang leaders who control those or other subway lines. The purpose of the player - make your own clan is dominant. To do this needs many soldiers in the army, many resources and many controlled stations. But the more controlled territory - the greater threat to the welfare of the clan. And not just from other players, but also from the unknown, that now also invisibly lives in the subway.